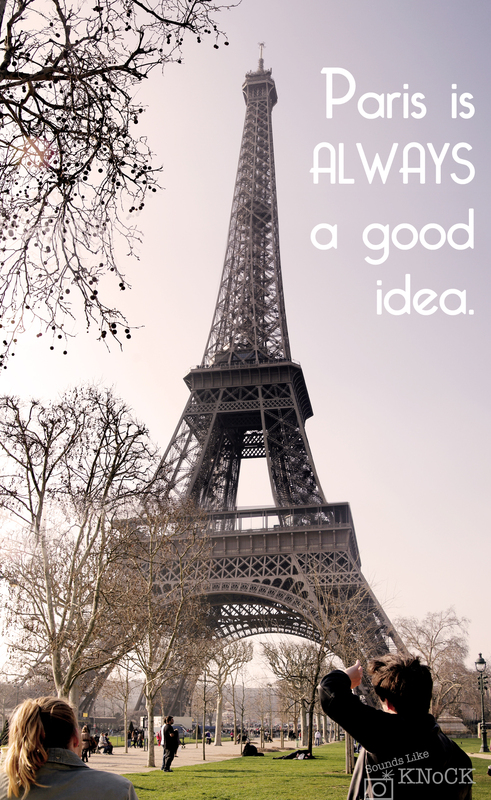 I’ve never been one to dream about Paris or have ever felt the need to go. But as soon as I stepped foot into this magical city, I was hooked. After having a very difficult time booking trains from Amsterdamn into Paris, we finally arrived.. with absolutely no idea where we were going to stay. We bumped into a fellow Canuck at the train station who suggested a hostel near Monte Martre. Rach and I hopped on the metro (after almost being scammed) and made our way there only to find out that of course they were completely booked up. A little discouraged, we plopped ourselves right outside that hostel to “borrow” their wifi so we could find some kind of shelter before the sun set. Turns out, this hostel being booked up was the luckiest thing to happen to us in Europe. Because it was booked up, we ended up going to St. Christophers and meeting our all time favourite travellers. I would HIGHLY HIGHLY recommend St. Christopher’s if you’re looking for a social hostel where you can easily meet people. They have a great bar that fills up at night time with tons of friendly travelers. We had managed to get to the hostel after dinner and immediately met our new friend Alex who we instantly hit it off with over some cheap and delicious Parisian wine. The bedrooms were clean and have cages underneath the bed for you to lock up your stuff. Careful though.. the hydrolics on ours were broken and out of no where, they can come slamming down at a ridiculous force. I laughed real hard when it happened to Rachel because with her clumsy nature, it was such a typical thing to have happen. But jokes on me because the next day, I had a nice bump on my head as evidence to show how easy it was to get knocked out by one. They also have paid lockers in their lobby so you can leave your bag there when you check out if you don’t plan on catching a train/plane until later in the day. I opted to just hand wash my clothes in the sink and hang them in the hostel. If you’re much classier than I am and would like to not have your undies hanging out all over the place, there is a laundromat just a couple blocks down. One of the things that I loved was how casual they were about bringing your own drinks and sitting at their bar. We would always just walk down the street to a convenience store, pick up a cheap bottle of delicious wine and have the bartender open it for us. Crepes, cheese, pastries, bread, and wine were the only things that went in my little belly. For a girl that doesn’t typically eat bread, I couldn’t get enough of it. The smells of freshly baked pastries as you walked by the shoppes were just intoxicating. If you want to stick close to the hostel, I’d recommend grabbing a bottle of wine from the nearby convenience store, some glasses and sit out on the canal and enjoy the fresh air. There is a little crepe shop right by the hostel near Crimee station that is so fantastic. Most of the restaurants just north east of the hostel are catered to locals so the staff very rarely speak English. 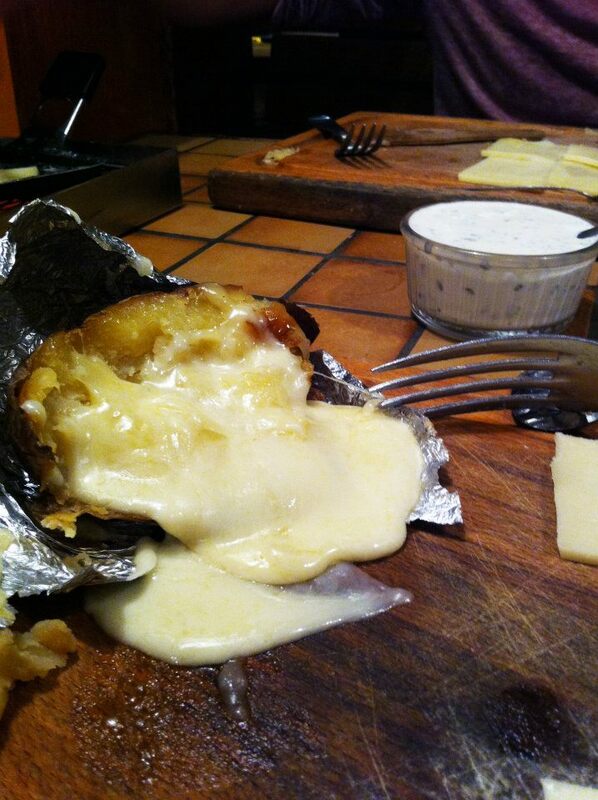 It was definitely at these restaurants that we had the most phenomenal meals though. Walking tours. 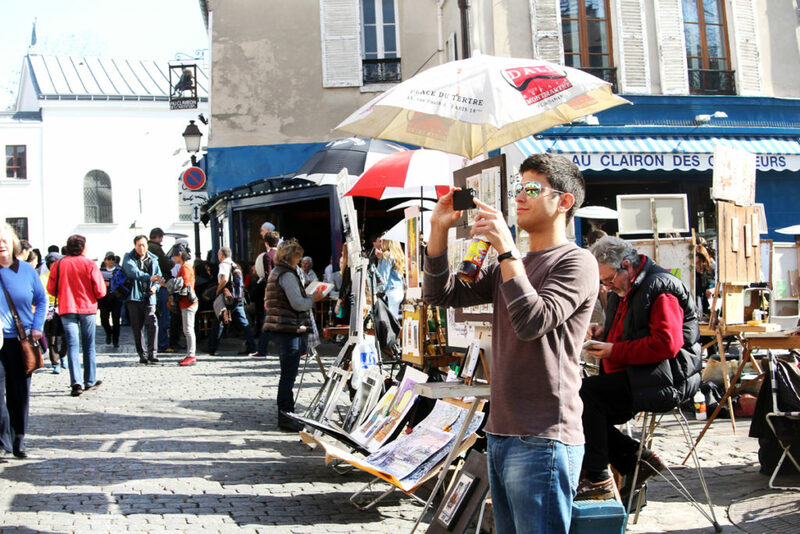 There are a few free walking tours in Paris. I can’t remember the one we went on exactly but it started at our hostel. 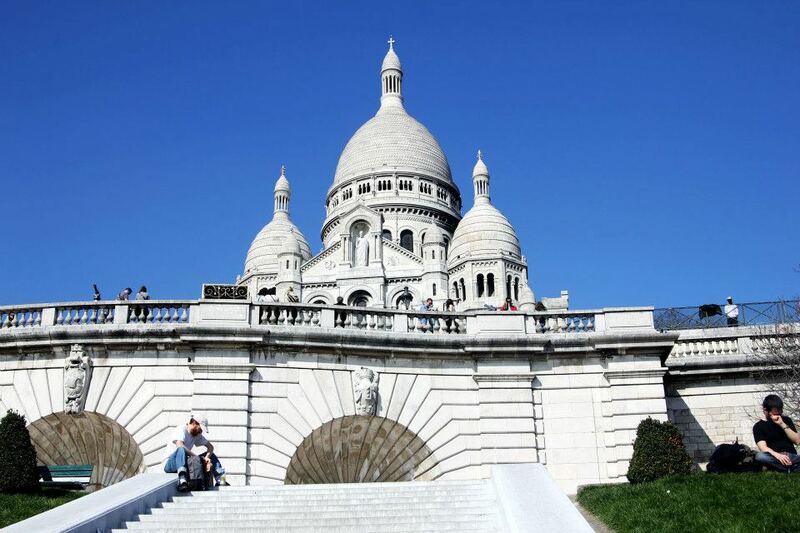 These tours are a great way to meet other travellers and see many of the top sites in Paris. That’s where we met our super group, Jeff, Katie, Liam, and Alex who definitely made our Paris trip memorable. The Eiffle Tower. It was like being a movie. We opted to climb the stairs instead of waiting in the seriously long line to use the elevator lift. My fear of heights was a serious hindrance during the climb as you are very aware of your surroundings and how high you are. 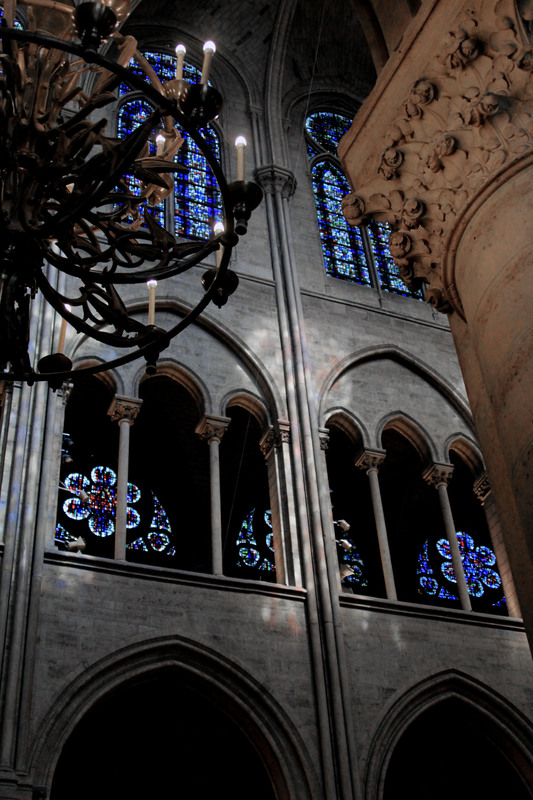 Notre dame. So nice! This was the first of the churches that we visited and it was definitely in the top of the list. We got there bright and early after our pub crawl because we heard they had free English tours. Unless you are very very very passionate about history and religion… I WOULD NOT GO ON THAT TOUR! Our super group was so excited when the tour started.. our tour guide started out by giving a very detailed description of this one area of the outside of the building… and 20 mins later when the lady was still describing the same area, I knew if I stayed for another minute, I’d fall asleep while standing. I glanced around and saw the pain in my other friend’s faces. Jeff caught my eye and without a word, we not so discretely slipped away to find some other adventures, abandoning our poor friends to this torture. I later found out that they only lasted another 30 minutes before they too could not take it anymore. The Louvre. 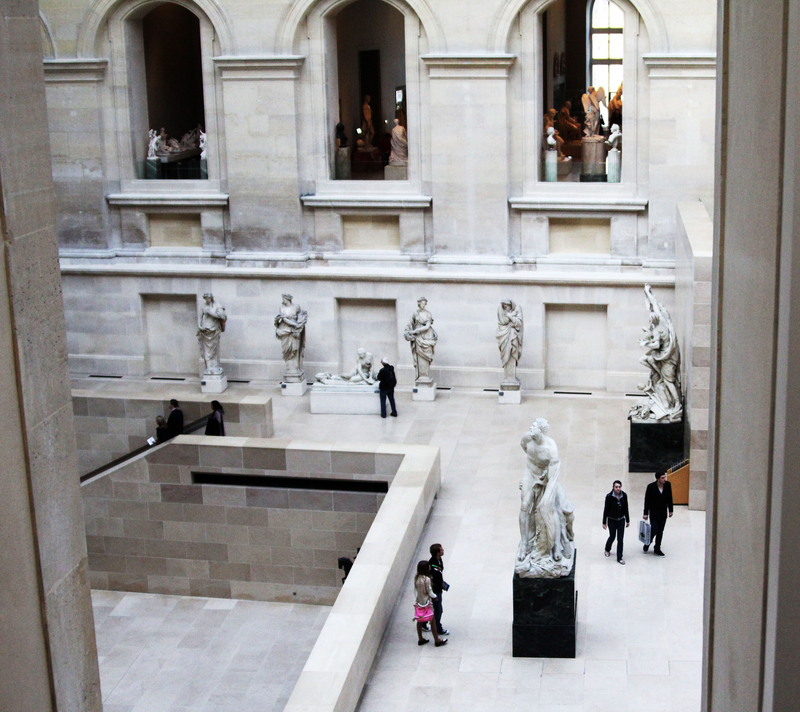 While our other friends stayed at the Notre Dame tour, Jeff and I made our way to the Louvre. We must have the best timing because there was absolutely no line to get in. I hate to admit it but I just don’t appreciate art as much as I should. Especially being a photographer. I’m not a huge fan of museums and definitely have the mentality that if you’ve seen one naked statue.. you’ve seen them all. Don’t hate me. Luckily for me, Jeff had a very similar mentality so we grabbed one of the booklets from the front that listed all the popular pieces and decided to hit up all the “top” exhibits in as little time as possible. To spice things up a bit, he suggested we play a game where we give the paintings new names. If there’s one thing I’m terrible at, it’s being creative on the spot. Jeff who is so quick came up with names that they had me in tears from laughing. I on the other hand had the imagination of a rock and felt serious anxiety every time it was my turn to name anything. All and all, one of the best museum visits of my life. 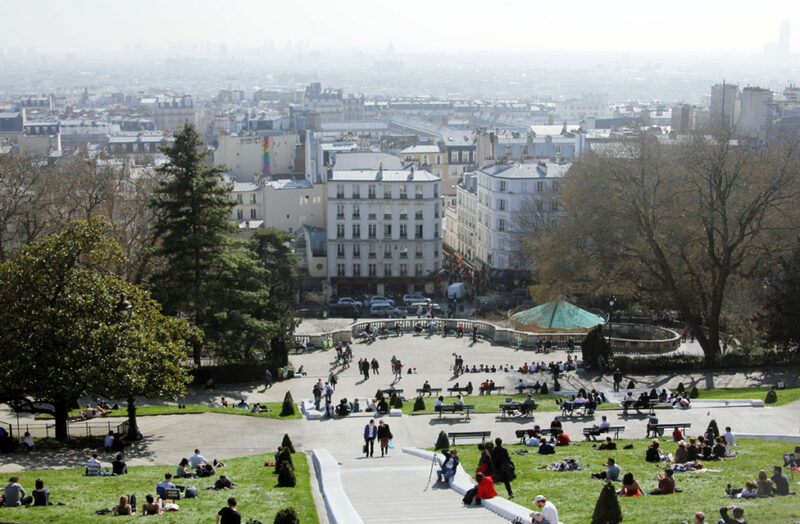 Parc des Buttes Chaumont – GO TO THIS PARK! Preferably early in the morning. It was so beautiful and relaxing with the mist coming off of the lake, runners jogging past, and artists with their paints and canvasses. It was absolutely the perfect place to write in your journal. It may have been one of my favourite locations in all of Paris. I can’t say enough amazing things about Paris. 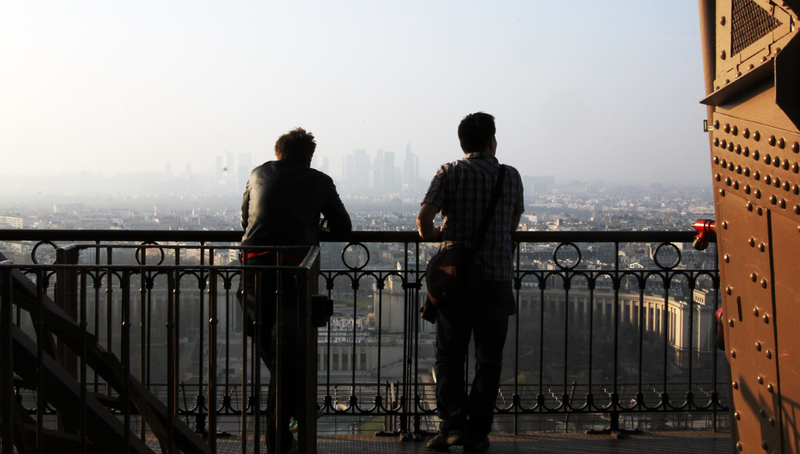 The food, the friends and the sights made this city unforgettable.